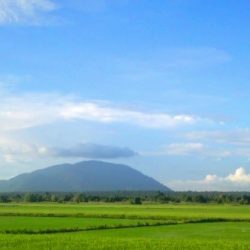 If you’re looking for a road trip within reach of Saigon (Ho Chi Minh City) that takes you to beaches and mountains, but stays off busy main roads; this is it. 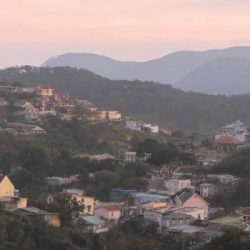 The beach retreat of Mũi Né and the mountain town of Dalat are both popular tourist destinations, connected to Saigon by busy, dirty and unpleasant highways. 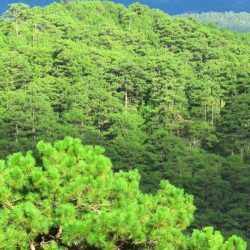 But, both Mũi Né and Dalat can also be accessed on quiet, scenic back-roads, passing along empty stretches of coastline and up lofty mountain passes. By staying on these back-roads it’s possible to make a loop from Saigon to Mũi Né, up to Dalat, and back down along the coast to Saigon. This route is 750km and it’s the perfect antidote to the noise, pollution and endless concrete of Saigon. I call it the ‘Saigon Escape Loop’, and below is my motorbike guide. 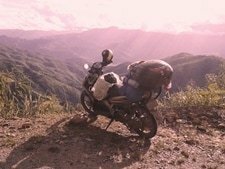 I’ve written this motorbike guide in 4 sections; each one corresponding to a day on the road. However, if you have time, it’s much better to spend 5 days to a week on this route. I’ve included my favourite places to stop, sleep and eat in this guide. (A more detailed account of Section 1 can be found in my article ‘The Ocean Road’). The first couple hours of any road trip from Saigon are rather busy and dirty. However, you can avoid the horrible Highway 1 out of the city by taking the ‘Back Road’ instead, via the Cát Lái ferry. This is shorter in both time and distance. (For detailed directions for the ‘Back Road’ from Saigon click HERE). The ‘Back Road’ ends when it meets Highway 51. Turn right (south) towards Bà Rịa Town (40km). 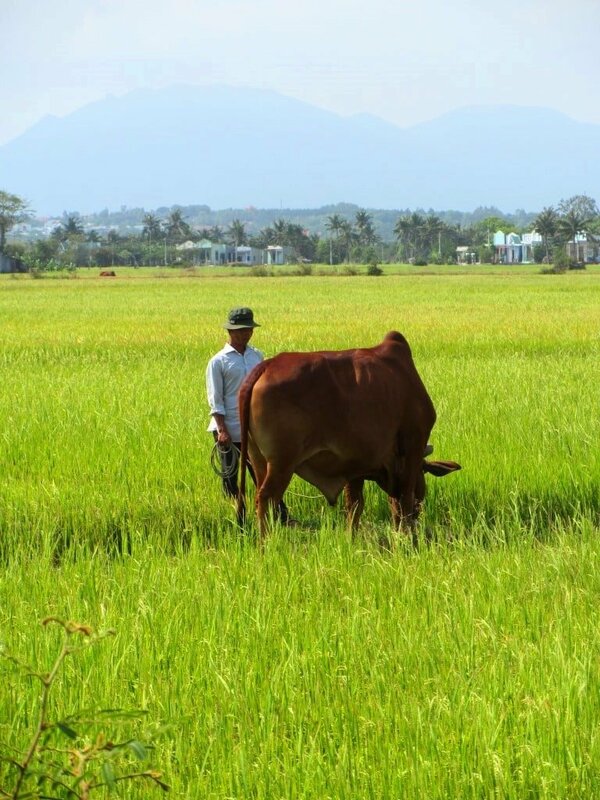 After Bà Rịa turn onto Road 44B, through a gentle landscape of rice fields and rocks, and make your way to Lộc An. This is the beginning of a long stretch of coastal road that goes all the way to Mũi Né. I call it the ‘Ocean Road’. 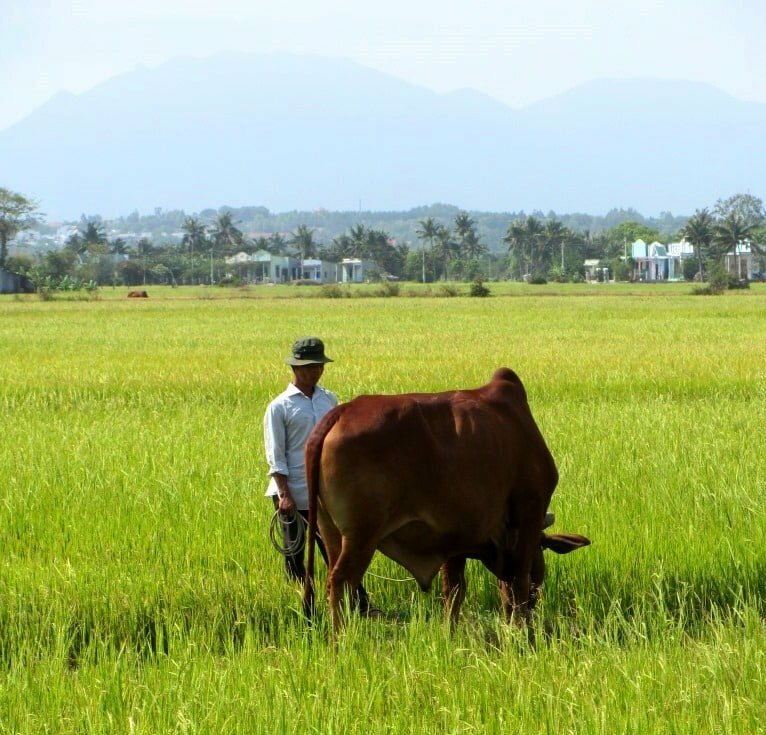 It takes 2-3 hours to reach Lộc An from Saigon, and this is the point at which you feel you’ve finally arrived in rural Vietnam: gone are the traffic, dust and industrial estates of the last couple hours; ahead of you lie beaches, forests and mountains. The road winds through dense mangrove and meandering muddy rivers before passing the discreet entrance to one of the classiest resorts in the area, Hồ Tràm Beach Resort & Spa (www.hotramresort.com). Stop here for a coffee at the beach bar, or, if you’ve had enough driving for one day, stay the night in one of the luxurious yet tasteful thatched bungalows here. For cheaper, guesthouse accommodation head to Hồ Tràm crossroads. 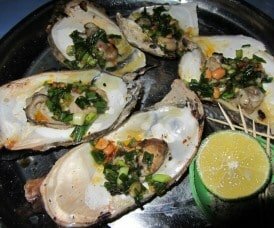 There’s also a superb, cheap and informal seafood market/restaurant here, where you can dine on a kilo of grilled oysters for 50,000VNĐ ($2.50). For more details about this restaurant and the surrounding guesthouses click HERE. As the road continues towards Hồ Cốc beach you’ll see the new, brash Grand Casino & Resort (www.thegrandhotramstrip.com). This is the first development of what will become a string of high-end, extravagant gambling complexes in the style of Las Vegas and Macau, which, for better or worse, will transform this area. A couple minutes from The Grand, at the Hồ Cốc crossroads, is the Vên Vên Hotel (www.venvenhotel.com). Set in the shade of big tropical trees, the restaurant here is perfect for a lunch stop. Try the grilled tamarind shrimp and steamed mustard leaf with ginger. (For more details about Vên Vên Hotel & Restaurant click HERE). After Hồ Cốc the road hugs the coast: on one side is dense forest, on the other a long, empty beach dotted with wandering cattle. 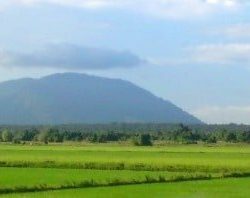 The stretch of road from Lagi to Kê Gà Hamlet (30km) goes through the kind of rural Vietnam that most travellers don’t see. The road narrows and potholes puncture the surface. The landscape isn’t so much beautiful as it is fascinating. 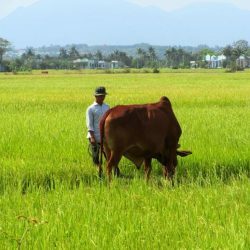 All around are crops and smells that are typical of the area: bright pink dragon fruit, white salt flats, luminous rice fields, mango trees, papaya, ponds of lotus flowers, coconut palms, cashew trees, wooden trestles in the sun laden with drying fish, and ox-drawn carts full of hay. Life seems to move at a different pace here; it feels a long way from the rapidly growing, industrializing cities. Eventually, the road widens again just before reaching Kê Gà hamlet. This area is receiving a trickle of tourists these days, who make a day trip down from Mũi Né to visit the French-built Kê Gà Lighthouse. 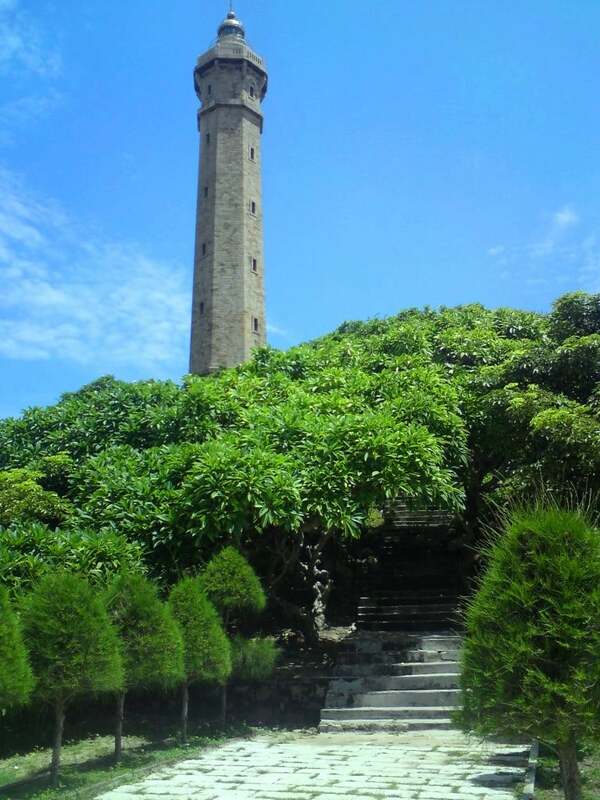 The lighthouse (constructed in 1899) is on a small island just a few hundred metres from Kê Gà beach. You can take a small boat and climb to the top of the lighthouse for amazing views back over the beaches and ocean. The boat ride is 200,000VNĐ ($10) for up to 4 passengers, and 50,000VNĐ ($2.50) for each additional passenger after that. Many informal ‘boat operators’ offer the trip, but the best option is Sóng Biển Café (0942 336 316), which is right on the seafront, down a sandy road at Kê Gà hamlet. Even if you don’t take the boat trip, Sóng Biển Café is a good spot for a coffee with views towards the lighthouse island. The next 30km from Kê Gà to Phan Thiết is a beautiful drive along the coast. This area is fast becoming a southern extension of the resort-studded Mũi Né: each time I pass through there are new beachfront developments here. For the time being, it’s still very quiet and relaxed along this beach. Almost all the accommodation here is tasteful and mid to high-end. If you want to stay in a comfortable resort away from the tourists of Mũi Né, any of these resorts will do. The road climbs up a steep incline (known, for some reason, as ‘Cambodia Slope’) and heads inland before dropping down into Phan Thiết, a large seaside town just 10km south of Mũi Né. 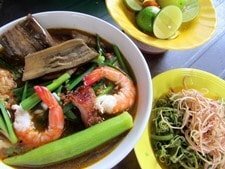 I like Phan Thiết – it’s full of good street food and has a lively, local atmosphere – and I often choose to stay here rather than Mũi Né. However, most people prefer to weave their way through Phan Thiết and continue to the famous beach retreat of Mũi Né. Despite being one of the most popular beach destinations in Vietnam, Mũi Né still retains a calm, laid-back atmosphere. 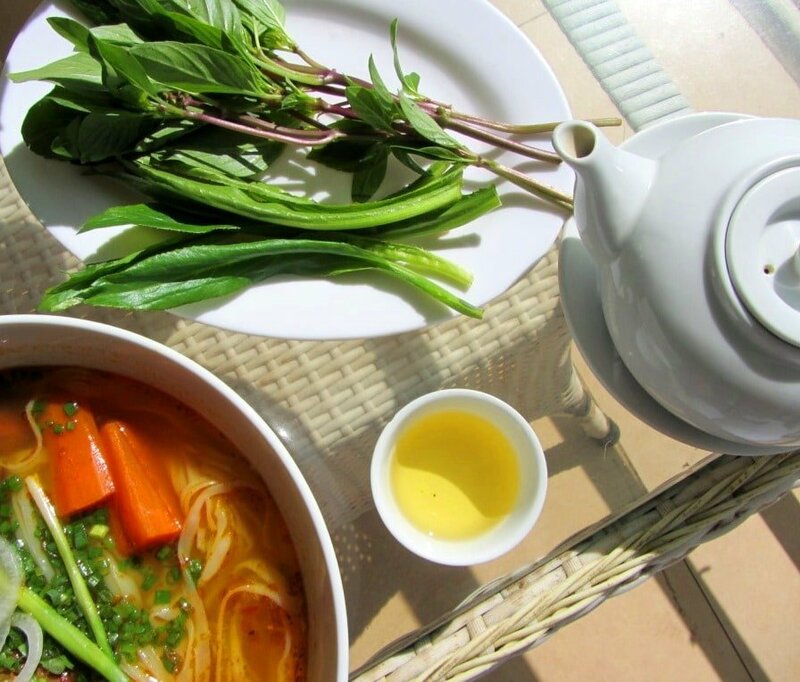 For cheap digs on the beach, head to Hồng Di (70 Nguyễn Đình Chiểu Street). For style, taste and comfort try the ever-popular Mia Resort (formerly the ‘Sailing Club Resort’): www.miamuine.com. 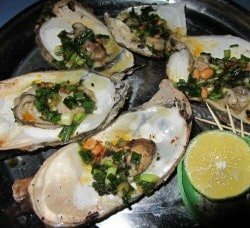 The latter also serves excellent western food; for local food head to the Bờ Kè area, where informal restaurants set up each night selling fresh seafood by the ocean. 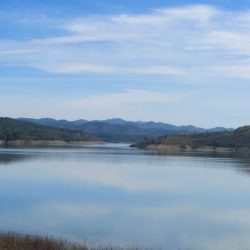 The ride from Mũi Né to Dalat is beautiful and quiet: it takes you from sea level to 1,500 feet; from empty beaches to forested mountains; from the scorching coastal plains to the cool, damp highlands. A lot of changes take place in just 150km of driving. Take the seafront road in Mũi Né due east, past all the resorts and round the peninsular, towards the famous red and white sand dunes. This is a well-made, empty and spectacular road cutting along two long, undeveloped beaches. After passing the white sand dunes on your right the landscape becomes increasingly desert-like. Only one crop seems to grow here: cassava plantations stretch as far as you can see. After an hour (50km) the road drops down to meet Highway 1, at which point there’s an enticing view north towards the foothills of the Annamite Mountains, which is where you’re headed. Turn right onto Highway 1 and immediately left onto the Lương Sơn-Đại Ninh road. Suddenly, the scenery becomes lusher, and hills cloaked in eucalyptus trees grow up around the road, their scent perfuming the air. As you drive deeper along the plains, the mountains loom larger, clouds often bubbling up behind them. 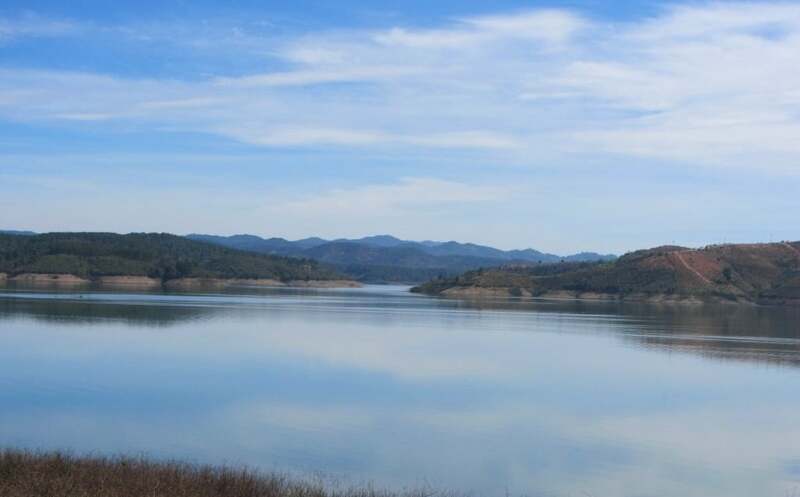 You can even feel the fresh mountain air coming down from the highlands, mingling with the heat of the plains, and cooling the oppressive temperature slightly. It’s no surprise that the weather can change very rapidly on this route, especially after the road snakes around the Đại Ninh reservoir and very abruptly starts its meandering ascent up to the highlands. The switchbacks on the Đại Ninh Pass are sharp and steep. It doesn’t take long before immense views open up: looking back south you can see the burning plains, crisscrossed by rivers winding all the way to the desolate sand dunes and hot beaches of Mũi Né; to the east and west the jungled ridges of the Annamite Mountains rise diagonally, before disappearing into clouds. The moment of transition between hot, coastal lowlands and cool highlands never fails to excite me. 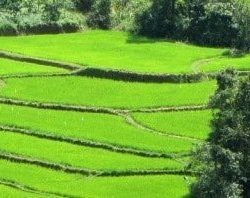 Visually and climatically the changes are obvious: beaches to mountains; rice fields to forests; hot to cool. 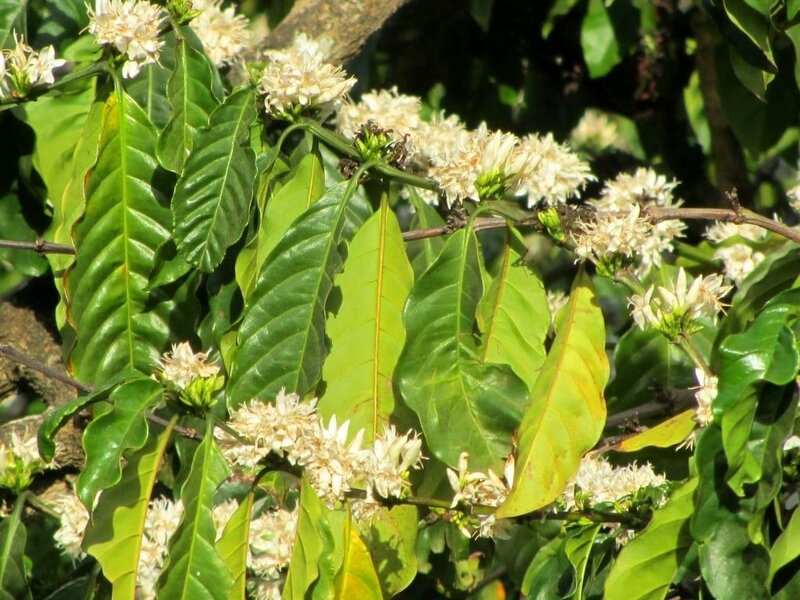 But it’s the smell more than anything else that announces your arrival in the central highlands: damp earth, drying coffee, wood smoke, pine needles, coffee blossom, and tea leaves. And then there’s the light; luminous and sharp with the distinctive purple ‘Annamite tinge’. It’s enough to inspire the romantic in anyone, even in the mist and rain; but only if you avoid the dust and trucks of the main Dalat highway, by staying on these back-roads. Once at the top of the pass the road heads over a heavily cultivated plateau, where you’ll see the first coffee plantations on this route. Sadly, at Ninh Gia there’s no choice but to join Highway 20, the main road to Dalat. Although it’s only 40km, I hate this stretch of road: it can get busy with trucks carrying heavy loads of agricultural goods, tourist coaches and minivans driving like lunatics, and parts of the road are in awful condition. It’s dangerous and unpleasant, but it only takes an hour before you hit the Prenn Pass, which leads 10km up through pine forests to Dalat. The charms of Dalat may not at first seem obvious, especially to a traveller from Western Europe looking to escape to some tropical sunshine. But, it’s the cooler climate here that’s made Dalat famous: the colonial French used to come to Dalat to escape the heat of the lowlands, and today, Vietnamese tourists and foreign expats do the same. To ‘get’ Dalat you have to ‘get’ this extreme change and the affect it has on you: it seems extraordinary that just two hours ago you were applying sunscreen to your red forearms, but now you’re shivering in your jeans and jacket. Dalat is not a particularly pretty city or one with many worthy sights, so it’s precisely this ‘air’ that is the main ‘attraction’. Sleeping without air-con or a fan, wearing clothes other than T-shirts and shorts, not constantly perspiring, eating hot food to keep warm, drinking hot coffee instead of iced coffee, hot artichoke tea instead of cold jasmine tea, feeling cosy – these are all ‘highlights’ of Dalat. 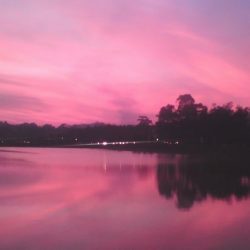 Strange as it may seem, these are the main reasons (or mine, at least) for visiting Dalat, and, having driven up from the baking coastal lowlands, you should be in a good position to appreciate the cool Dalat air. Dalat is full of hotels: for a cheaper room try Phương Vy (Lô 4, Phạm Ngũ Lão Street: 063 6539 739). For those who want to experience colonial luxury, the French villas at Anna Mandara (www.anamandara-resort.com) are among the best, most atmospheric luxury accommodations in Vietnam. Don’t miss nem nướng, a Dalat speciality of roll-your-own rice paper wraps: try the popular Bà Hùng Restaurant at D51-52 Hoàng Văn Thụ Street. The central highlands is the coffee belt of Vietnam; try Windmills Coffee Shop (www.facebook.com/Windmills.vn) for a young, ‘cutesy’ cup of Joe and cakes, or head to Bà Năm Café (13 Phan Bội Châu Street) for a classic, old-style local coffee house, where wise old men stoop over tiny glasses of hot coffee and tea throughout the day. 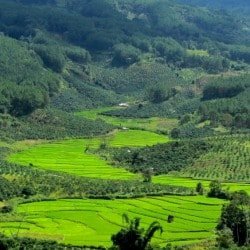 The route from Dalat back down to the coast at Phan Thiết can be broken down into two very different halves. 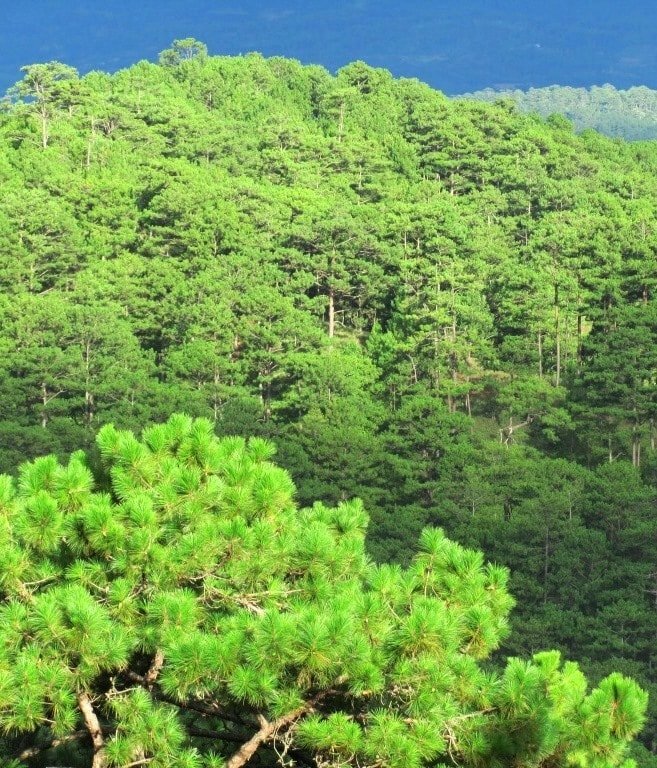 The first is the 80km drive southwest to Di Linh Town, on Highway 20, the main Dalat road. As I mentioned before, this is rather unpleasant due to traffic and road conditions. There are occasional glimpses of interesting highland landscape, but the entire area is so heavily cultivated that there’s very little forest left to see. After a couple hours you’ll reach Di Linh, which is a nice enough town for a lunch stop and a taste of oolong tea – which grows locally – at the Tâm Châu Restaurant (521 Hùng Vương Street). Good, cheap rooms are available at Mai Khanh Guesthouse (530 Hùng Vương Street) if you arrive late and need a place to stay. There’s also a fantastic place to eat nem nướng that’s even better that what you get in Dalat: Nem Nướng My is at 896 Hùng Vương, Di Linh’s main street. At a crossroads in Di Linh there’s a left (south) turn signposted to Phan Thiết: this is Road 28, the beginning of the second half of the ride back to the coast. From here to the sea it’s 100km of gorgeous, winding mountain road, with hardly any traffic. The first section of this road goes through a lovely farmed landscape of coffee, tea and pine plantations. Terraced rice fields climb up the contours of the gentle valleys, the curving terraces echoing each other and fanning out, getting wider towards the valley floor, like ripples on the surface of still water. In the middle of this bucolic area there’s a new resort – far off the beaten path – which is well-worth stopping at for a night or two. Juliet’s Villa Resort (www.1Ajulietsvillaresort.com) is signposted to the right 10km after leaving Di Linh. It’s run by a friendly Vietnamese-Korean couple who have put a lot of time and care into this mini-resort. There’s a handful of villa-style rooms dotted around a pool in a beautifully landscaped garden. Prices are reasonable and they even have a private waterfall, with a walkway leading behind the cascade. Not long after passing Juliet’s Villa Resort the road begins to climb up the jungled slopes of the Di Linh Plateau. Once at the top there are marvelous views, glimpsed through the trees, down into densely wooded valleys. The grim, very poor-looking village of Gia Bắc sits atop the crest of the last mountain, before the beginning of the descent to the lowlands and coastal plains. On a clear day you can see all the way to the East (South China) Sea as you glide through the hairpin bends, avoiding the arcing branches of bamboo, that appear to have broken free from the rest of the jungle. It’s not until the bottom of this pass that you become aware of the dramatic change in temperature once more: the sun regains its sting, and a sticky humidity fills the air. The next 30km to Phan Thiết is flat and relatively unremarkable. 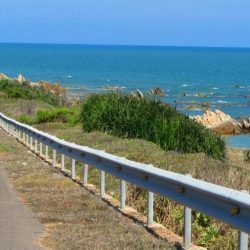 When Road 28 hits Highway 1, you can choose whether to continue straight on to Phan Thiết and Mũi Né and spend the night there, or turn right towards the beaches around Kê Gà Lighthouse and Lagi (as mentioned in Section 1). After a night or two by the beach, it’s just a matter of retracing the ‘Ocean Road’ and the ‘Back Road’ all the way back into Saigon. 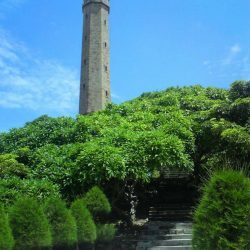 See Section 1 of this guide to remind yourself of the route, or have a look at my ‘Ocean Road’ article for more detailed information about the beaches, sights, and road south of Mũi Né to Saigon. The weather is always unpredictable when you’re driving from the coast to the mountains. However, the peak dry season months from December to February is by far the best time to visit for both the beaches and the mountains. Most other times of year the weather will be a mixed bag: generally, the tropical downpours on the coast don’t last long enough to ruin your day, but the light rain in the mountains can be more persistent. However, there’s something atmospheric about the rain, mist and vapour hanging over the ridges and peaks in the central highlands. Motorbike hire in Saigon (Ho Chi Minh City) is fairly straight forward. The backpacker area of Pham Ngu Lao has plenty of signs advertising ‘bikes for rent’. Most reputable in this area is Chi’s Café (www.chiscafe.com). Tucked down an alleyway, Chi has been renting bikes to expats for years. Saigon Scooter Rental (www.saigonscooterrental.com) has a good website which tells you everything you need to know about renting from them. The similarly named Saigon Scooter Centre (www.saigonscootercentre.com) is another well-established place to buy or rent a bike. 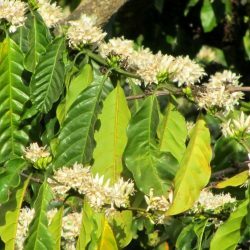 This entry was posted in ALL, Beaches, Central Highlands, Coastal, Dalat, DESTINATIONS, MOTORBIKE GUIDES, Mountains, Mountains, Mui Ne, The South, The South and tagged Dalat, guide, Ho Chi Minh City, motorbike, motorbiking, Mui Ne, Saigon, travel, Vietnam. Bookmark the permalink. Thank you very much for this amazing amount of info and experience. We are travelling from Cambodia to Saigon , most probably this 6th of November, planning to buy a moto and drive all the way to Hue or Hoi An till around 19 or 20, then fly to Hanoi, and visit Halong Bay, till 25 is our flight back. Do you think will be easier to sell the Moto in Hoi An or Hue? As both have airport, I don’t mind one or another. I think it would probably be easier to sell your bike in Hoi An, because there are so many other travellers there. However, I would strongly suggest rent-buying from one of the trusted companies listed in the right sidebar and bottom of every page of my website. They guarantee buy-back at the end of your trip so it’s much more convenient, and their bikes are in good condition, some companies even have a no break-down guarantee. Trying contacting them. You can mention Vietnam Coracle if you like, they know me. I had planned to do a solo trip from Saigon up to Nha Trang using this as a guide, and taking 8-10 days to make the loop. A mate of mine has niw decided to come but only has about 6 nights. Would you recommend going as far as Nha trang in that amount of time, with a similar loop in mind seeing the coast most of the way and coming inland on the way back? youce been a big help, any tips on this would be appreciated. I think you can still do it. But you can also remain flexible: for example, ride up the coast roads towards Nha Trang and see how the time goes; if you’re running short on time just turn around, if not then head up to the mountains for the return trip. Please note that this guide is in need of an update. 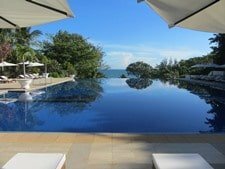 For more recent information take a look at my Tet Lunar New Year route, and all my southern coastal routes – which you can link together to take you all the way from Saigon to Nha Trang on good beach roads. Another option for the mountains are the Back Ways to Dalat. I am currently living in Ho Chi Minh and my family is coming in July, we don’t have a lot of time so I am thinking about taking a flight to Da Lat and rent there some motorbikes to go to Mui Ne and then back to Da Lat. 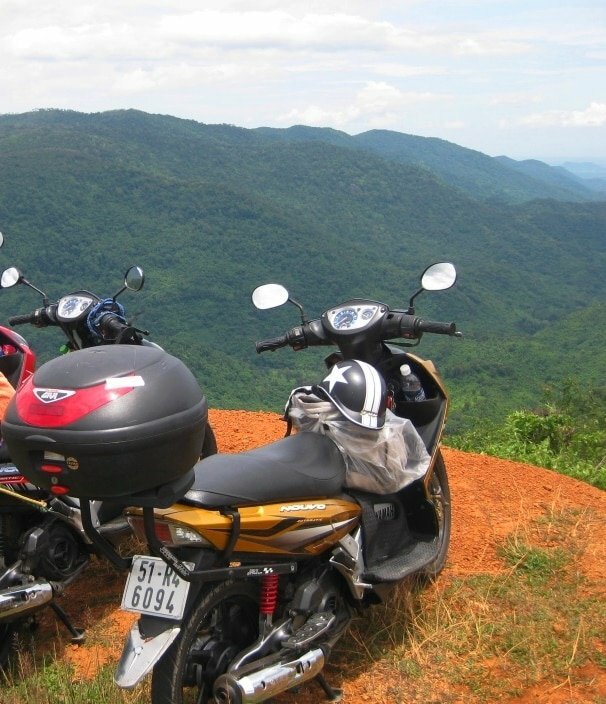 Do you know if it’s possible to rent motorbikes in Da Lat? I have made a quick scan on the internet and sent some emails but I didn’t find a clear answer..
And in case it is possible, do we need to take our own helmets or insurance? Yes, you can rent motorbikes in Dalat from most hotels and guest houses. 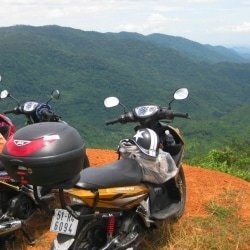 However, you can also rent motorbikes from one of Saigon’s reputable outlets and they will transport the bikes to Dalat for you (at an additional cost, of course). Tigit Motorbikes will likely be able to do this for you – there are links to Tigit in the right sidebar and bottom of all my pages. Whoever you rent the bikes from will provide helmets. Unless you have a local or international driving license, it’s unlikely that your insurance will cover you for motorbike-related claims. Thank you for all the information. We are planning to do a week to one and a half week in Vietnam this X’mas/New Year. We are a little apprehensive with doing it on a motorbike and was wondering if we can still follow your guide using a car. Yes, you can do this route by car. The only problem might be hiring a car – I’m not sure if foreign visitors are allowed to self-drive yet, although the rules seem to change all the time depending on who you’re talking to. If not, you can always hire a car and a driver – try contacting Taxi Nam for that. 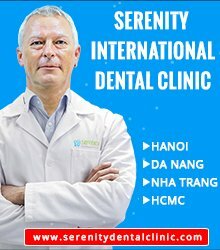 Hi Tom, user your website a lot while traveling through Vietnam the last weeks. I just came down from Dalat today and in mui Ne now using your roadmap backwards. But before Saigon i want to stop once, what do you suggest. Stopping in La Gi or Long Hai? And any suggestions for lodging between 10-25$. Yes, Lagi or Ho Tram and Ho Coc make sense to break the journey. Lagi is a fishing town with a beach, and Ho Tram is a beach (no town really) with some resorts on it. For more about Ho Tram and Ho Coc take a look at this. Thanks for the quick response, i leave mui Ne tomorrow and Will have a look on the way. Thanks for this amazing write up! 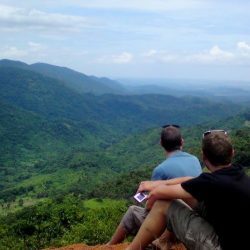 A few of us are heading up from Saigon this weekend to do a slightly different route and I’d love some advice. We’re getting the train from Saigon to Phan Thiet, and then planning to go straight up to Dalat. I see you have done two different routes for this… would you recommend the ride to Mui Ne and then inland from there, or the ride straight inland from Phan Thiet? 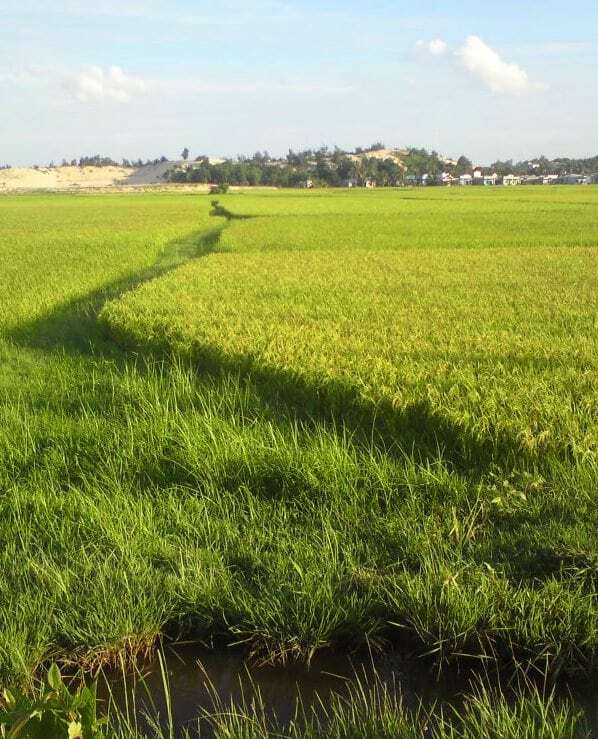 We’ll be coming back down from Dalat to Cam Ranh, and then looping back to Mui Ne (with a night’s break), so we will only be doing the Phan Thiet – Dalat section once. Obviously we won’t be able to hit the road until around 11am once we’re off the train… is it still doable to get to Dalat in that time? 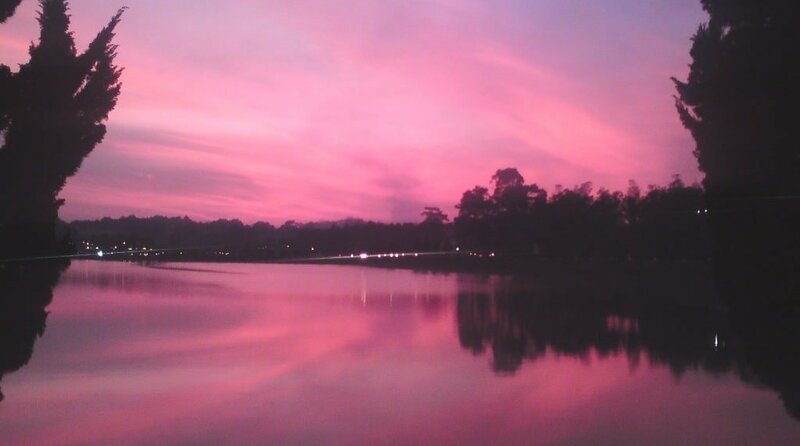 Yes, you can still make it to Dalat in one day – but you won’t have that much time to stop and relax along the way if you want to arrive in Dalat before dark (around 6pm). I would reckon on the journey taking between 4-6 hours depending on your level of riding experience. Both mountain roads are good – the one from Phan Thiet is a bit more scenic but then you hit Highway 20 for 80km to Dalat; the one from Mui Ne passes the ocean first (which is scenic) and then up the mountains it hits Highway 20 for 40km to Dalat. 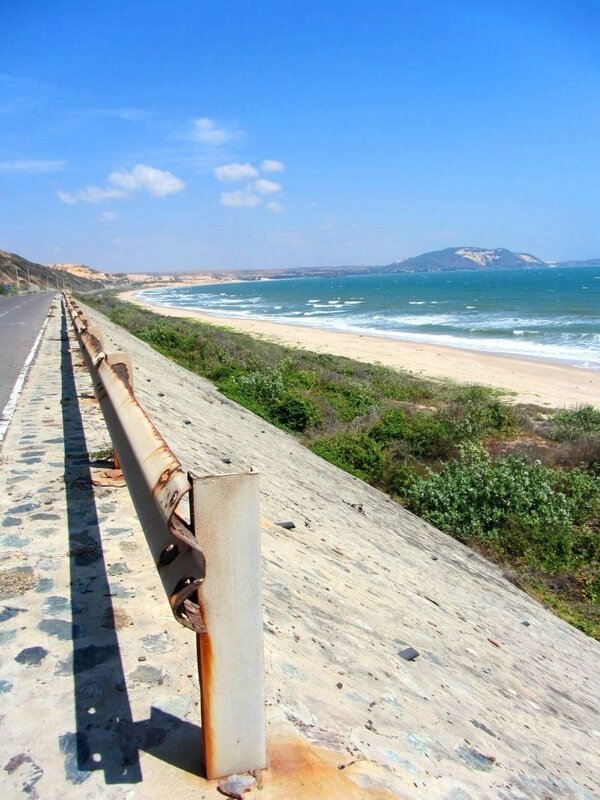 So if you want to spend less time on the highway I would choose the Mui Ne route. However, the ocean road near Mui Ne is infamous for traffic police stopping and fining foreigners on motorbikes. You can avoid the police by taking a slightly different route: see the red line on the map in this guide. Thanks so much! I also saw your review of Juliet’s resort and now thinking of that as a possibility for a night instead of Dalat. Do you think Juliet’s to Cam Ranh and then looping down to Vinh Hy Bay (where we will stay the night) is doable? It looks to be about 200km. I feel like a full day riding on the second day might be better than rushing to get to Dalat from the train! Yes, Juliet’s Villa Resort is a very nice place to break the journey, but it’s a good idea to book your room in advance, because sometimes they get full. You could ride from there to Vinh Hy in one day – it’s a fairly long ride but it’s nice (apart from the first 70km on Highway QL20 from Di Linh to the turn off for QL27 which can be busy with trucks). Another option would be to continue straight on QL27 from Dalat all the way down to Phan Rang and then go to Vinh Hy from there – it’s about the same distance as going via Cam Ranh. Either way, it’s doable in a day, but probably best to get a reasonably early start, just to give yourself plenty of time. 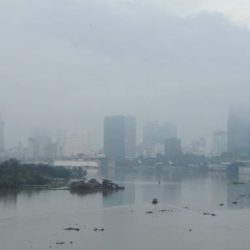 Im currently in my second year of living in Vietnam. My friends are planning to visit during the TET holiday and they really want to see Vietnam. I have heard many people say, however, that Vietnam is quiet and everyone returns to their home towns and villages during TET. I have suggested to my friends that we either go elsewhere in South East Asia, but Im not sure. Have you travelled at all in Vietnam during TET? 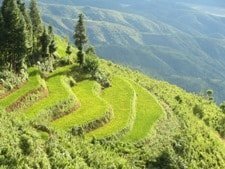 What about doing the Sapa loop? I guess I am just looking for a second opinion. Cheers and great blog by the way… super helpful. Travelling before Tet is pretty quite, but as soon as Tet is over, the next week is very busy with local people on holiday, especially in popular destinations, such as Nha Trang, Dalat, Phu Quoc, Sapa, Halong Bay etc. However, I do like to travel at Tet, but I make sure I travel to less touristy places so that I avoid the crowds as much as possible. I have written a guide to a route that I take during Tet – you can read it here. 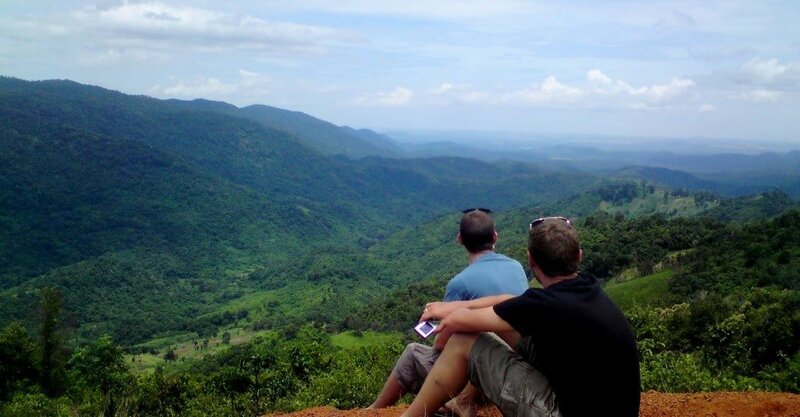 We are planning to do Mui Ne > Dalat > Nha Trang. Going to and coming out of Nha Trang obviously includes hilly terrains. Will this be hard with 2 of us on 1 bike and carry around 15kg luggage total? We’re both quite light! Is the road particularly dangerous as well? Im talking about gorges and falling off the road, as opposed to trucks here. Any motorbike (as long as it’s above 100cc – and most bikes are – and in good condition) will be able to handle the hilly rides up to Dalat with 2 people and luggage. Yes, the mountain passes to Dalat as very steep and therefore can be dangerous. But if you ride carefully you will be fine. The road surface is generally good and traffic is still reasonably light (although you must be careful of buses and trucks cutting blind corners!). It’s a great and easily navigable ride. Thanks so much for sharing your experience. Incredibly helpful. Can you let me know, if one sets out in the morning 11 AM ish, roughly how many KMs can he expect to cover in a day on average? (assuming that you stop riding when the sun goes). I am an advanced beginner and don’t like riding more than 60km/ph speed. You’re more knowledgable with the terrain and traffic so thought you might be able to help! The sun sets around 6.00-6.30pm. So if you start out at 11am that gives you 7 hours on the road. Depending on the road conditions, the terrain you are riding through and how much riding stamina you have, you can expect to ride an average of 40km per hour. However, including stops etc I would expect to cover around 200km in that time. Hi Tom! Thank you verey much for your amazing guides! I am coming to Vietnam tomorrow and with my gf we would like to do motorbike trip. She does not have a driving licence though (but she can do drive). Is it fine if we both ride one motorbike or should we despite borrow two of them? And do you know if any street food there could be vegan? I asked my friends from there but they didn’t know of anything. Thank you very much for your answer! Yes, you will be OK riding two of you on one bike. However, most foreigners riding in Vietnam do not have licenses so it should also be fine to ride a bike each – of course you take the risk on being fined (usually $10) by the traffic police (especially around Mui Ne) but it would be much more comfortable if you both had your own bike. Thank you for this great post! I would have a question.. I don’t have driving licence that would allowe me to drive motorbike 125 ccm. Is it possible to manage this route with motorbike 50ccm? If so how long would it take? Thank you very much. I wouldn’t advise riding this loop on a 50cc. Just get a 125cc bike – very few foreigners riding in Vietnam have a license. The standard fine if you get stopped by the traffic police is 200,000vnd (around $10). Thanks for posting all this info – I’ve found it all really helpful! I’m about to set off out of Mui Ne heading towards HCMC. I’m on a bicycle though, and was wondering if it’s possible for a bike to go through the tunnel you mention getting into the city? Otherwise I’ll be looking at taking the Phú Mỹ Bridge, which just adds a few km’s I imagine I won’t want to be doing in the middle of the day heat this place is getting right now! That is a very good question! I have checked online (in English and in Vietnamese) but there doesn’t seem to be any clear answer. I think you should try posting the question on the Expats Ho Chi Minh Facebook page – I’m sure you’ll find an answer there. Also, if bicycles are not allowed through the tunnel, it’s probably best (and easiest) to take the Thu Thiem Bridge instead of the Phu My Bridge. Hi Tom, great website! We plan to do this trip next April hoping the weather will be ok this time of year. Are we able to hire a bigger bike as I plan to travel on the back with my husband.the loop trip from Ho Chi Min sounds fantastic ! We plan to follow your guide. Yes, you could find a bigger bike to hire. Try contacting Flamingo Travel and asking which bikes they have to offer. However, unless you have a lot of luggage or are planning on staying on the road for longer than a few days, a ‘normal’ bike, such as mine, is perfectly adequate. 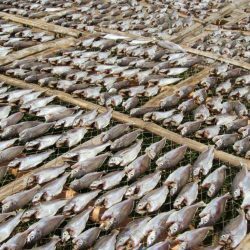 I started planning my trip to Vietnam about a month back and that’s when I came across your website. I must tell you that all the data you have compiled has proved to be a very helpful resource. Thanks a ton for putting this information together. 2) I am travelling with my husband and I was wondering if renting one bike and riding pillion would be a good idea? Or do you suggest renting two bikes. I am sorry to burden you with so many questions, but a response from you would be really helpful. 10 days is long enough to do this ride (including Nha Trang) but only if you don’t stop at any of the places on the way for more than two nights. I drew this map for Yusoff – this is a fantastic figure of eight loop that uses spectacular roads. The ride from Saigon to Mui Ne can be done in a day, but you must leave early from Saigon to do that. The ride from Mui Ne to Dalat is shorter, and will probably take 4-5 hours. The ride from Dalat to Nha Trang is also around 4 hours. 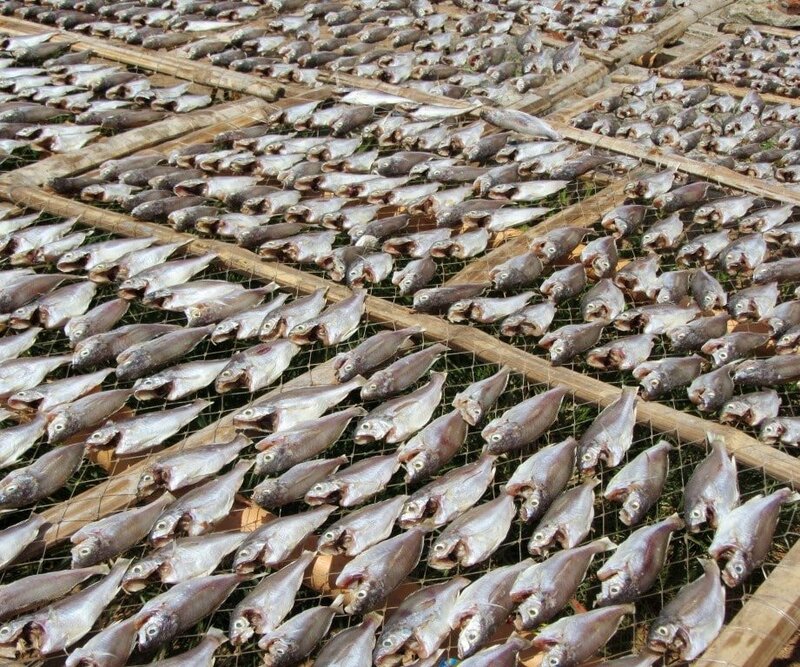 From Nha Trang to Phan Rang is around 4-5 hours and so is Phang Rang to Dalat. You can put your bike on the train from Nha Trang back to Saigon but note that your bike does not usually travel on the same train as you and will usually arrive in Saigon a couple of days after you do. Travelling with a pillion of this loop is fine, but you will always be more comfortable with one person per bike. Second hand bikes are often posted on the Expats in Ho Chi Minh City Facebook page so it’s worth joining that. Also there are bikes for sale posted on the walls of most of the budget guesthouses in Pham Ngu Lao, the backpacker area of Saigon. These are the places I suggest on the coast: Nui Chua Coast Road, Hon Gom Sandbar, Vung Ro Bay. 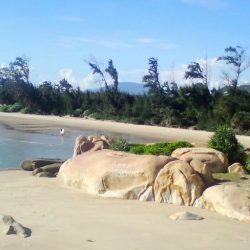 After that stay in Quy Nhon and try the beaches around there which are great. Thanks again Tom. Safe travels wherever you are! I cant thank you enough for this very detailed and informative post. 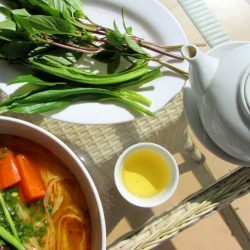 Your post is very spot on and helpful for those who have limited days in Vietnam and wish to experice it differently. 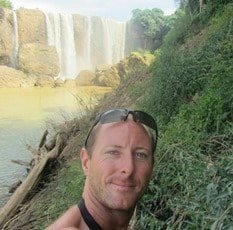 My question would be, without stopping here and there, is it possible to spend 4 days in total from Saigon to Mui Ne, to Da Lat and back to Saigon? 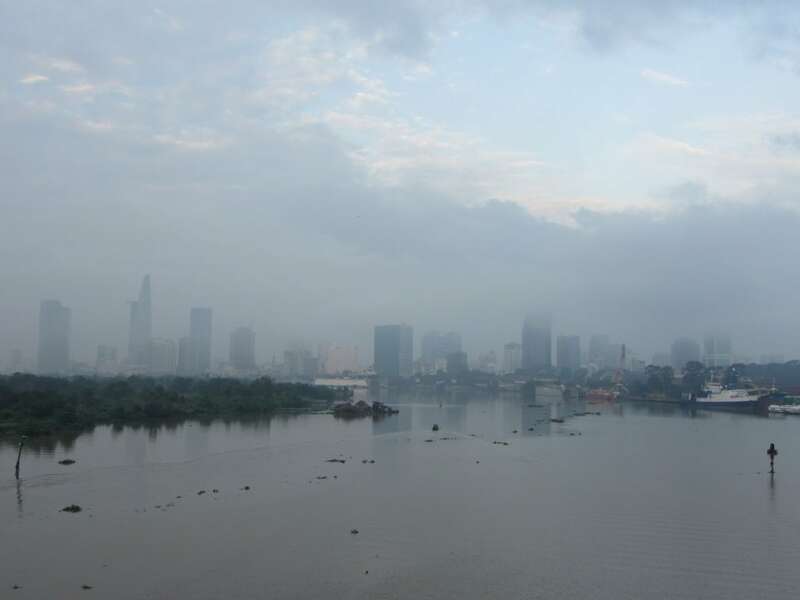 I will depart from Saigon in the early morning perhaps around 7am. Yes, that is possible. You’ll need to start at a reasonable time in the mornings. The first time I ever did this route I did it in 3 days. Saigon to Mui Ne on this route is around 240km. Mui Ne to Dalat is around 150km. Dalat to Phan Thiet is around 170km. And finally Phan Thiet to Saigon is around 230km. So you’ll be spending a lot of time on the bike. But the roads are mostly good, quiet and scenic. Treat the journey as the goal and don’t worry so much about making the most of the destination and you should have a good ride. Tom! Thanks so much for such response. It gives me hope to keep on going for this trip, because to be honest, given the limited time, I doubted for a second. Indeed, it is so much about the journey, I believe it would be rewarding. Btw Tom, is it easy to find gas station along the way? I might probably rent Honda Wave S 110CC with 3,5L of fuel. One more question, is it better to stay over in Mui Ne or Dalat? My purpose to go to Mui Ne is the Sand Dunes. Thanks again Tom for such helpful and detailed writings. Yes, there are plenty of gas stations along the way. But make sure to fill up before both the mountain back-roads up to Dalat, just to be safe. Remember that if you’re not used to riding a motorbike over long distances then this is quite a long one to do in 4 days. Nothing in particular. Just read the guide and you should be fine. Hopefully the weather will stay nice and you’ll have a good ride. Hello there I have the exact same question to ask as Al hakeem yusoff! Could you send me your answer too! OK, check your email. I’ve sent you the same answer as Yusoff. Hello, Good day to you. 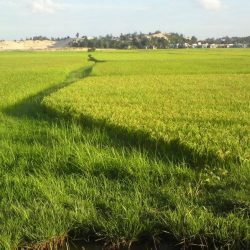 I recently came across you blog regarding the possibility of riding from saigon to mui ne and dalat respectively. This is the exact kind of trip that i need for my trip this november. This will be my second time in vietnam but i would very much like to be able to explore vietnam deeper than before, i am much into beaches, sceneries, mountain passes lush greeneries, hidden gems and of course road trips. 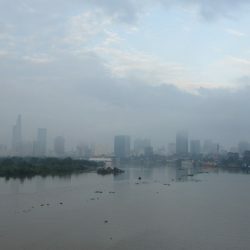 I will be making the trip from Saigon through the cat lai ferry as you have directed in your blog. I will be spending a total of 8 nights as a total for this trip. I am wondering if that is enough. My plan is to actually start from saigon in the early morning of a monday around 10:30 am and start making my way to cat lai ferry and hopefully begin my journey to Mui ne. 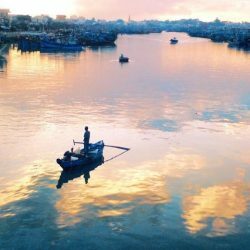 Is it possible for me to reach Mui ne before it gets dark? And are the bikes that i will be renting considered reliable for this trip? I am not planning to make any stopover until i reach mui ne. Maybe a couple stop for gas/food/scenery and a couple beaches. 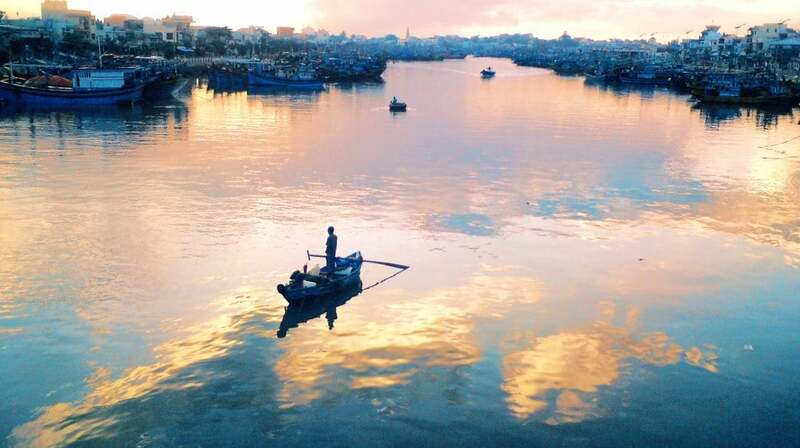 But i would still want to reach mui ne before dark. (If you could be so kind as to help me out with an estimation, How long will the ride to Mui ne take?) And stay there for maybe 3 nights before making my way straight to Dalat. 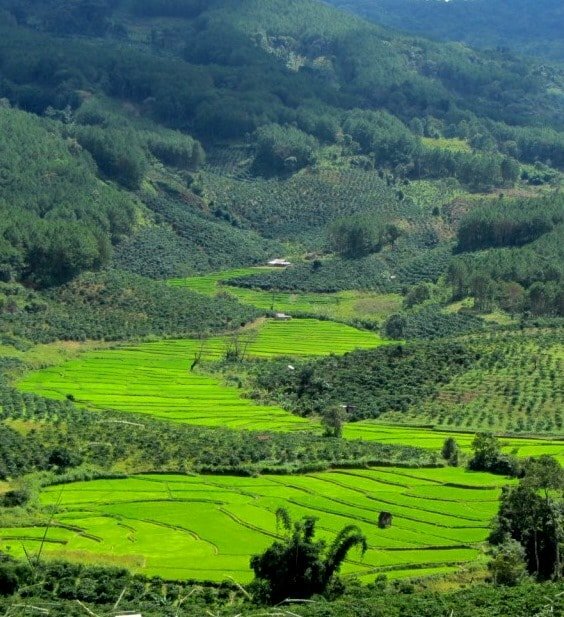 How long will the ride to Dalat be? I am sorry to impose all these question to you, but please know that your help will be greatly appreciated. Check your inbox, I’ve sent you an email to answer your question. My plan is to go from Saigon to Mui Ne in one day, but if it is imposible I need to know it. Probably sleeping in La Gi, and then finishing arriving Mui Ne next day? How much does it take to go from Mui Ne to Dalat? 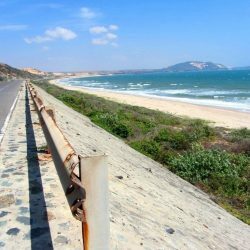 Yes, you can ride from Saigon to Mui Ne in one day: the distance via the Ocean Road is 270km, so it is a full day’s ride: start early in the morning to make sure you get all the way to Mui Ne in one day. From Mui Ne to Dalat takes around 5 hours.